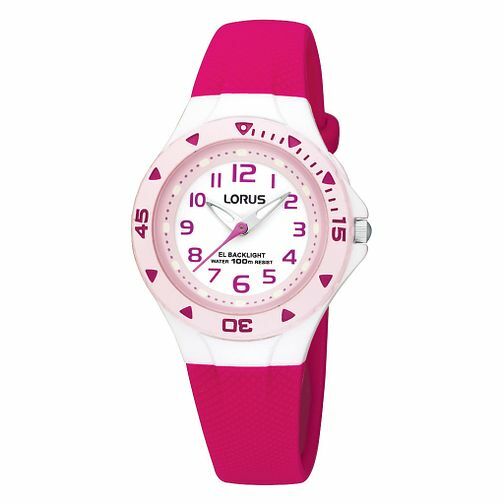 Lorus children's dark pink plastic strap watch featuring round white dial, back light, 100m water resistance and tachymeter. Lorus Children's Pink Plastic Strap Watch is rated 5.0 out of 5 by 1. Rated 5 out of 5 by Anonymous from Lovely Lovely girls watch, looks great when worn. Have bought two colours in the same model.